For many enterprises, the move to an all-flash array has almost eliminated storage performance problems. But user expectations and sophistication of apps will quickly catch up—thus the need to improve performance will never stop. 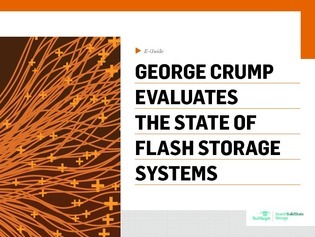 In this expert guide, George Crump, President and Founder of Storage Switzerland, outlines the state of flash storage systems, and demonstrates how to use NVMe, flash DIMM, and other innovations on the horizon to proactively keep performance ahead of users’ expectations. Read on as Crump also predicts the fate of HDDs, and explains how to keep pace by improving internal and external connectivity.